I will say I really like the fragrance and texture of the new night cream. I've always had very dry skin and since i'm older it has got worse.so very pleased what a difference it has made and so many friends telling me how much younger i look.the best part is that it's all natural with no damaging chemicals in it. I love this day cream. It's so light and dissolves into the skin quickly without being greasy. Definitely makes my skin dewy and young looking. I'm 68 years old and my skin looks much younger. I will never use anything else. And customer service is excellent. Very moral company And I definitely recommend this product. I'm so impressed with Systeme products. I noticed a dramatic difference in two weeks. Fortunately I inherited great skin but was seeing lines forming and this product removed them. I am 68 years old and people are shocked to learn that. I do find that it being a natural product it may go bad if not used in a few months. Use it Day and Night for the last 2 years. I find it very effective and reasonable when you purchase 6 jars at a time. Keep one in my purse, locker at work too ! And, just started on the Serum which is great and goes a long way ! first of all, I trust Dr. Zand and her all natural ingredients . Enhanced facial skin. The overall effect of the Night treatment is a more youthful appearance. And at 76 years young, that is truly special. At first I was not impressed, but realized that I wasn't following the directions as suggested on the Night Treatment System 41. Once I began applying every night, I did see some smoothing out from under my eyes. I believe the depth of my circles has relaxed and smoothed as well as a natural lightening that has occurred. Because of this experience, I ordered multiple jars and am continuing to notice improvement. I have always taken care of my skin and at age 85 I get compliments all the time but I have always gotten compliments on the smoothness and few wrinkles. I cannot say there has been an improvement since using System 41 but at my age I don't expect any. Still it is a good product. I find the day product much more dense than a year ago. Harder to apply but find night product very good and smoother. The night cream is a great moisturizer and it gives me a youthful look. I am 82 and very happy with the line but still have brown spots. I love this day crème, it keeps me hydrated all day. It is just the right consistency for me because my skin is mature & on the dry side. The only downside is the smell, not a pretty one. I would rather have a lavender or rose scent. This is a nice night cream for my sensitive skin. It doesn't irritate or cause breakouts. I've used it for years. I still have wrinkles, but I feel it makes my skin look better. I have noticed less dryness and an overall better glow to my face. I have only been using it for 3 weeks so look forward to further improvement! I have not noticed a remarkable difference from the product I was using and System 41 but I am 85 years old and always taken care of my skin. I will continue to use System 41 because it is more reasonably priced than the product I was using. I've been using the Nourishing Day Creme for a short time, but already I like what I'm seeing and the feel of my facial skin. Results suggest that in due course I will be able to put away my foundation... forever. I have used the night crème and have had good results. I opened a new jar and wonder why the color went from white to beige. I have just started using the day crème and my one complaint is the medicinal odor. I would recommend it for anyone to at least try, and maybe I haven't used it long enough to get a feel for how much to use. I have been using this product for over 2 years, noticed a difference soon after beginning use. Have given both Day and Night cream to my daughter, who said her makeup is now much easier to apply. I have also given some to my sister. So far so good...the product does make your skin soft & smooth. I was sold on the natural ingredients in the Day Crème. As a horticulturalist, I could identify with these plant extracts. And the product was reasonably priced. The night cream is rich and moisturising, it feels nice and feels like it could do a real good job on the skin, that's what I like about it, but I have been using it for a long time now and have noticed no change in my lines, which are not too bad, but I keep using it as I think it is probably the best product out there. I have found over the years of using expensive hyped up creams that they do nothing, in fact, a cosmetic doctor said to me that no cream ever will take away lines etc., and I tend to believe him. So I use your creams, day and night as I think they are the best for moisturising and maybe keeping lines etc. from getting worse. Hope you can understand what I am trying to say, and I do love your products. Kind regards, Sandy Cameron, Australia. Both my daughter and I have been using the Day Cream for several months and like its moisturizing properties. It leaves your skin smooth and well hydrated, and the best part is that it is all natural! 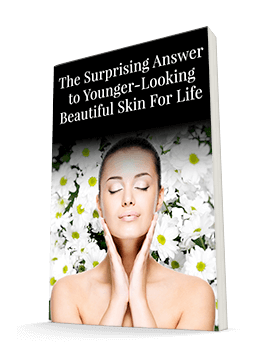 However, we have found it to be not all that helpful in reducing fine lines and wrinkles. The hydration does smooth the lines and wrinkles somewhat, but not as much as we had expected. Also, it often interacts with some foundations/CC creams. Nevertheless, it is a good product for nourishing your skin. It is somewhat effective, but I really wish it worked even better around puffiness. However, some of the fine lines have been lightened and my skin looks a little brighter. I will continue and hope for even better results. I like the texture of the creme - and it appears to reduce fine lines. I am 62 and I have been using this product for about 8 weeks now. It is not a miracle and I don't look like I'm 20 again (lol) but I really do like it a lot. I like it for the rest of body as well as for my face. I would highly recommend it. I am very pleased with both the night and day care products, and it is good to know that these products are made from natural ingredients. I love the way it softens my skin. But at age 79 I am afraid it is to late for me to change the deep wrinkles. My daughter uses the day and night creams and loves them. I so appreciate this product...I am highly allergic to propylene glycol and pleased to find a quality product. I can see a difference in my skin and have only used it a week. It makes my skin feel good. I have used other creams that I liked more or just as much as this one. I 1 thing I didn't like about it is the odor (fragrance). I doesn't smell like something you would want on your face. I have used both day and night treatment for few months now and I have the same response for both products, during warm weather it is great but during cold weather I need to compensate with a skin oil. Both are good. I have used this for few months and I think it is a good product, but for me it works better during the warm season, during the cold season my skin seems to require more moisture and I have to compensate with some skin oil. I used it because it is an all natural produce but I cannot see that it is any better than several other products I have used. I have a craigy? face. I do not see improvement as you describe it. However it does moisturize and it has one of the very few fragrances I can tolerate. I've used it for several years now and until I discover something better (for me) this is it. Sorry to disappoint. I love night cream. I think I've seen a difference in my skin since I started using it. The eye cream is not that great, I've seen significant aging of the skin around my eyes and the cleanser is not as great as well. leaves much that needs to come off with another product. Nice cream but after using for almost a year I can't see any difference! The ingredients listed in this night treatment are the reason I ordered it because they are all natural. However, I did not think that it made my skin feel as as moisturized as expected. Instead my skin felt very tight, as perhaps when using a mask. My skin is very dry and perhaps I need a different type of produce that you offer. I prefer the texture and weight to be lighter, like a lotion. The Systeme 41 Night Treatment works reasonably well, although it has not produced significant results in reduced lines and wrinkles. However, my wife and I continue to use it nightly, as it does soften our skin. Not much improvement so far. I am not excited about this product. It is creamy but not enough moisture for me as a mature woman. I use a heavy cream at night and thought this cream would help lift. My mistake. I'm currently trying several of your products. So far, so good with the exception of the day creme. I think it is a bit heavy for a day cream. The night cream is much lighter and I do like it but I am not pleased to be putting something so heavy on my face in the morning and then make up on top of that. Wonder why it is so heavy. this product did nothing for my skin or face. It was very discouraging. So I returned it and I'm awaiting my refund. I am not too happy with the day creme. It is too heavy and takes some heavy rubbing to apply. I wish it were lighter, more like the night creme. Unfortunately I have not seen any difference since using Systeme41. I have very sensitive skin and was excited to try the Restorative Night Treatment. After only a couple weeks however, I am not seeing any difference so I am still waiting. I am 82 years old and have taken care of my skin so even a "little" improvement would be nice. Still trying! Too early to tell. But I doubt it wii make any difference in the areas around my eyes. This is my only major problem. I dont see any difference on my skin at all, I have used it for a long time but now I have quit. Used it every night for several weeks. I noticed that my skin seemed drier in the morning. Was very disappointed with the results. Sorry,but I have not seen any improvements. I will not buy it any more. I have not noticed any difference in my skin I get the same results with just plain coconut oil. I used the entire jar and saw no improvement whatsoever.